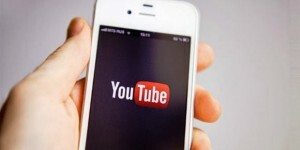 There are a good number of people who like to make multiple YouTube videos and they want to be able to analyze how each one is doing once they have been uploaded, which is why the recently announced enhancement within YouTube to give you the chance to check out the stats on up to 200 channels or videos, was received with such enthusiasm. What you get with a YouTube Analytics group is a custom collection of up to 200 channels or videos which you can pull together from all your video content on YouTube. You can combine this with making best use of tools such as software from the YTD site to help you stay organized and to work offline. The benefits of having these videos organized into groups is that it allows you to view aggregate data and analyze their performance in a much more structured and visually beneficial way. 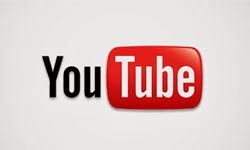 To give you an idea of how useful this tool is, you could for example create groups that are based on a common topic or particular type of video as well as using other data like geographic location and the date of the upload, all of which will be presented in group’s data within YouTube Analytics. The type of groups that you choose to create can vary depending on your own set-up and as a channel owner you have the opportunity to create video groups from your claimed and uploaded video content. In a multi-channel network environment you also have the ability to create channel groups from the channels that you currently manage and you will see which of these are available to you in the group’s editor section. Another positive feature of the facility is that in addition to the groups that you have created yourself you also have the option to access and browse any other groups that have been set up by anyone else who is using your YouTube Analytics account in collaboration with yourself. You can manipulate this data by having the ability to copy and edit groups set up by other users with access to your account details and similarly anyone who has access will have the same visibility and query options but will not be able to edit your groups. To set this feature up you should first log in to your video manager and then go straight to the Analytics menu. When you are there you should find the newly added Groups setting in the top right hand corner of your screen. Then click Create Video Group from the drop down menu presented to you and allocate your new group a name, then start adding videos. You can search for the content required by name and also by video ID and once you have finished adding what you want just click Save. Once you have completed the setting up process and added your videos you should then be taken to a screen that shows you all the metrics for the group that you have just created, giving you a whole host of useful information which you will surely agree, is a pretty cool tool to have access to. Remember to respect IP when using downloaded content. William Covington is an experienced social media manager. After years on the job, he enjoys blogging about effective strategies and tools for optimizing social media.